power switch as well. 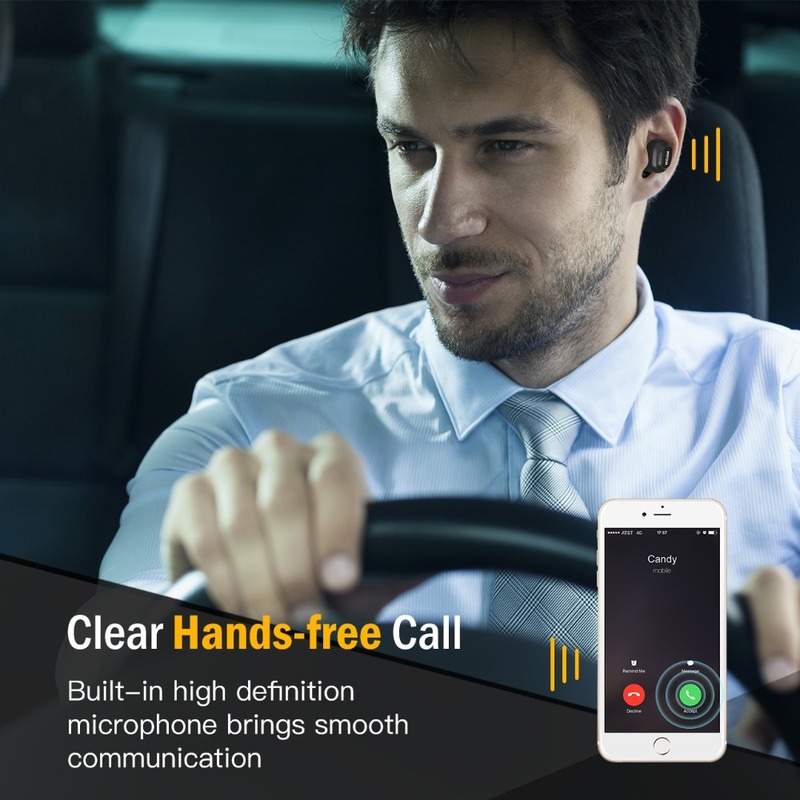 Easy operation provides hands-free convenience. 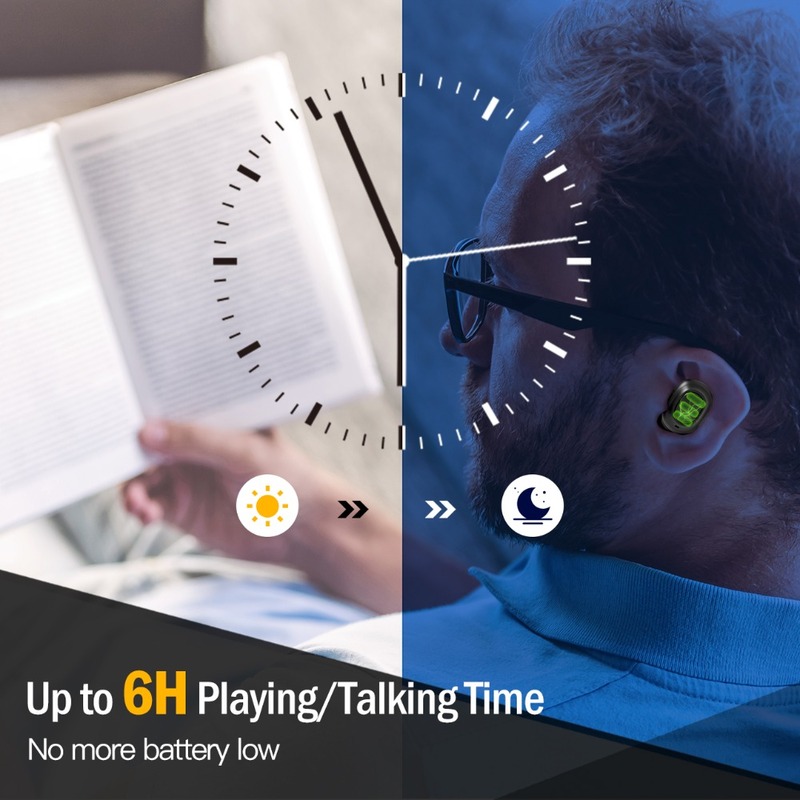 is on the earbud). 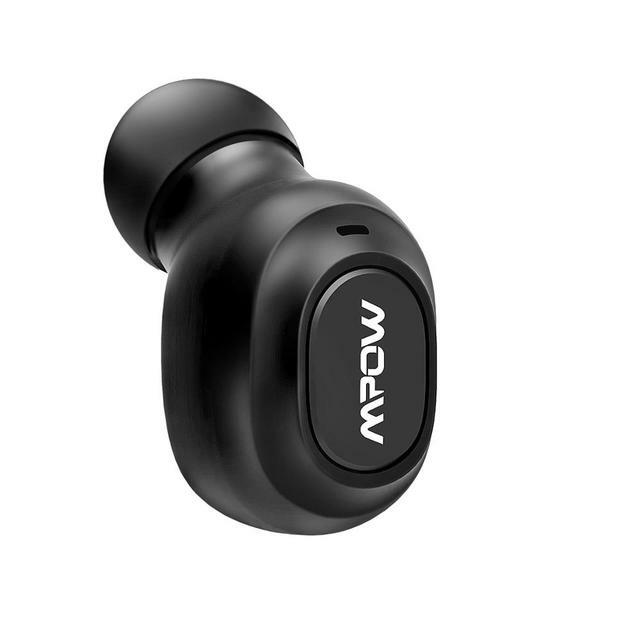 It is super lightweight for only 0.1oz(4g) that you could barely notice it when you put it on. 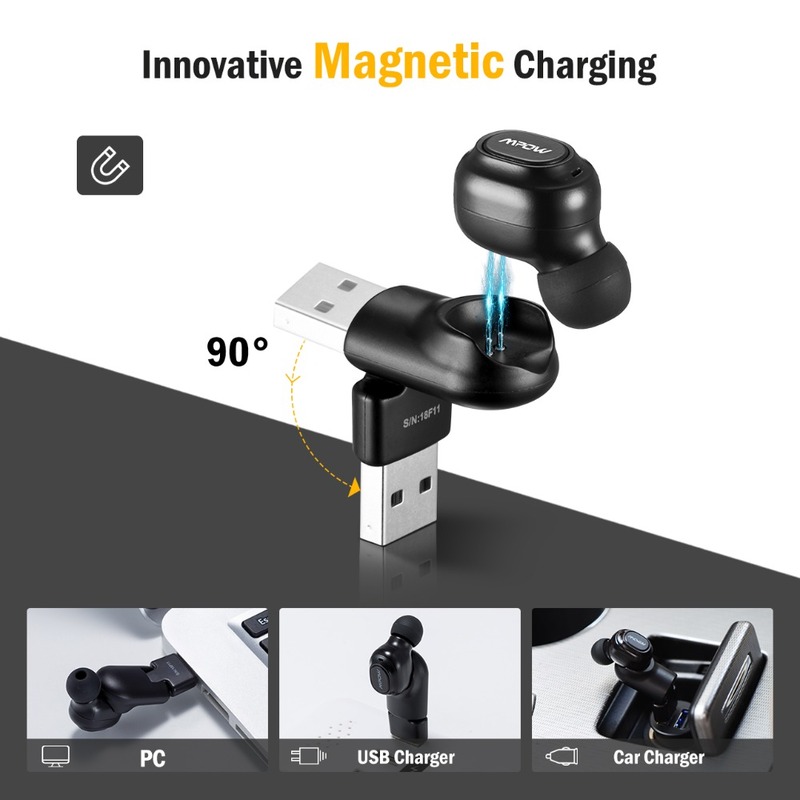 magnetic USB charger for 1.5 hours to get the earphone fully charged. 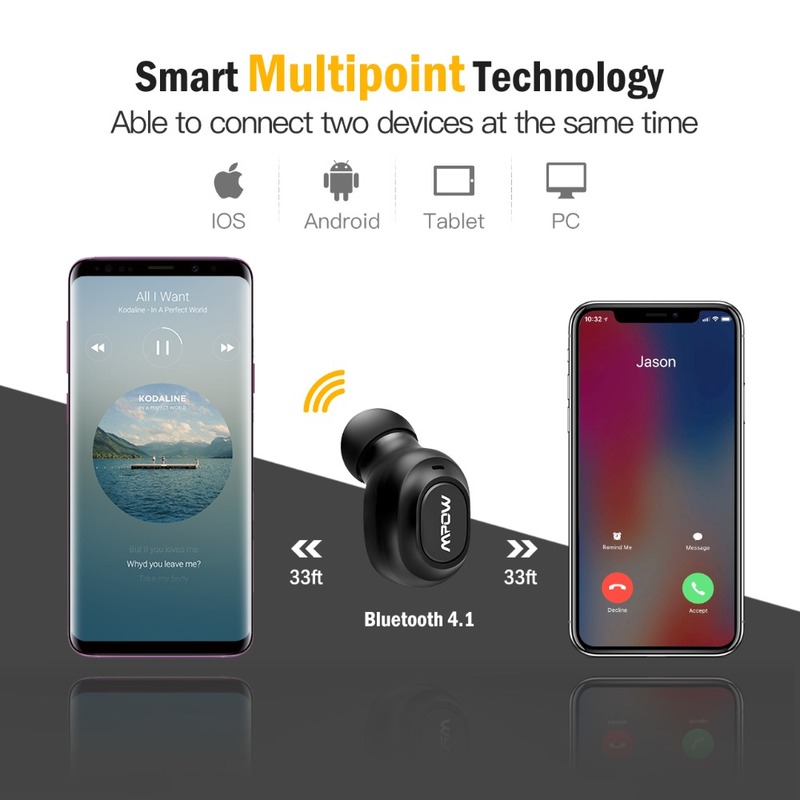 available to connect most of Smart Phones, tablets and PC (Bluetooth transmitter needed). takes 1.5 hours to get fully charged. 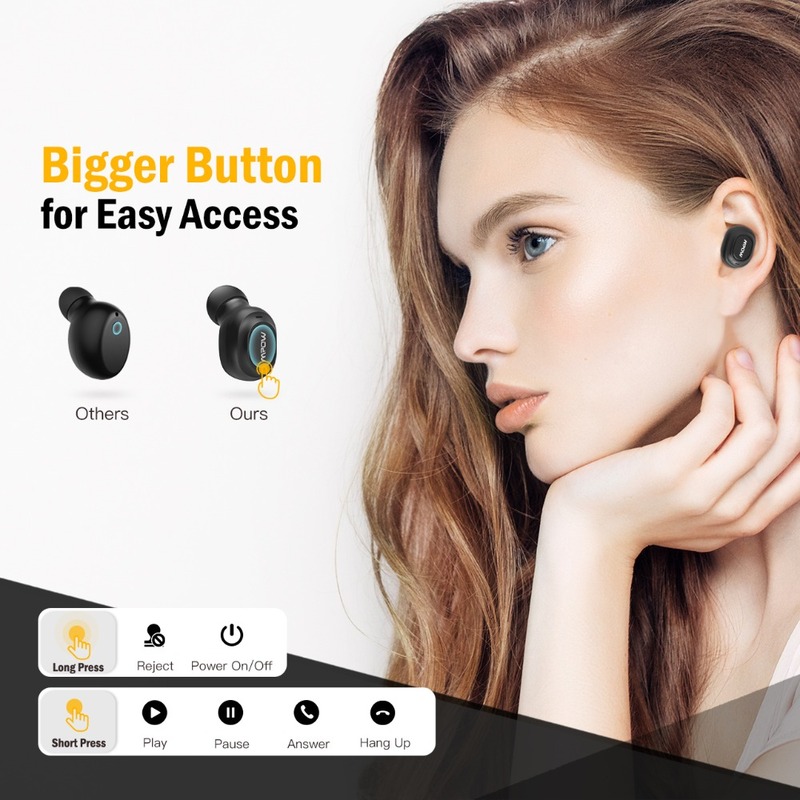 earbud has super lightweight and tiny sizes which feels so light and natural. You’ll barely notice it’s there when you put it on. 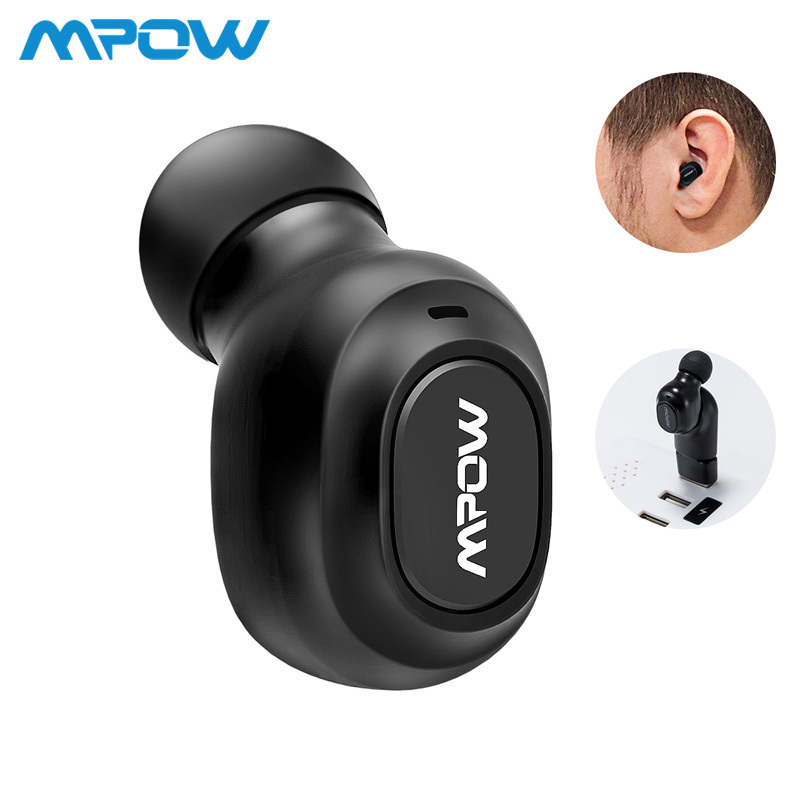 fast shipment, good communication and quick respond, same as explained. Thank you guys great job.